Rangia shell middens are characteristic Mossy Grove site features along the marshes, bayous, and upper bays of the upper Texas coast. They represent intensive shellfish collection. 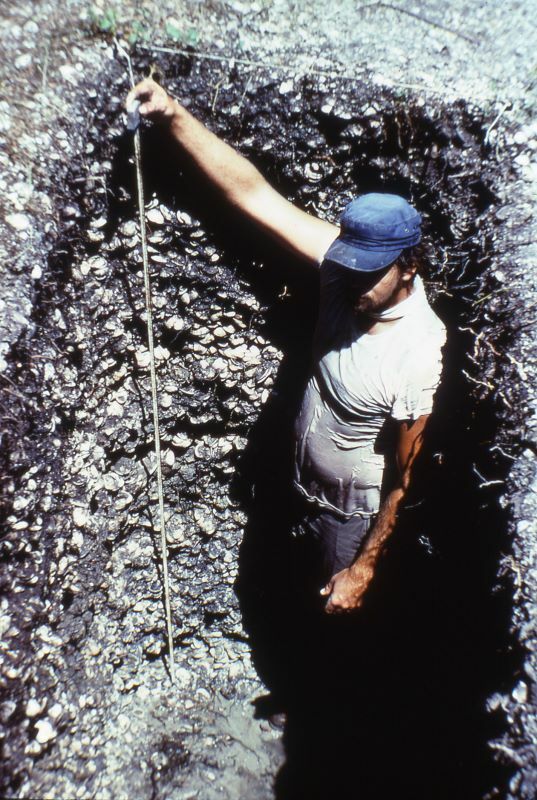 The archeologist shown here in this 1965 photo has just completed a test pit through a seven-foot thick shell midden at site41CH36 in the Wallisville Reservoir area of Chambers County in the valley of lower Trinity River.